After years of feeling powerless to help her teacher training graduates actually survive as yoga teachers, she started studying business, marketing, finances and technology. In 2010, when she felt confident enough to share what she had learned, she created “90 Minutes to Change the WorldTM”. This professional development program inspired her and Taro Smith to found 90 Monkeys. She has appeared on the covers of Yoga Journal and Fit Yoga Magazine, featured in Self Magazine, New York Magazine, Allure (Korea), Prevention Magazine, Newsweek and on the front page of Yahoo.com. 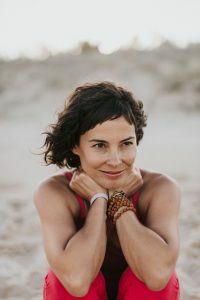 Amy is a teacher on Glo.com, is a pioneer of advanced yoga education, co-founding 90 Monkeys, a yoga school with both online and in-person learning that has enhanced the skills of yoga teachers and studios in more than 65 countries. 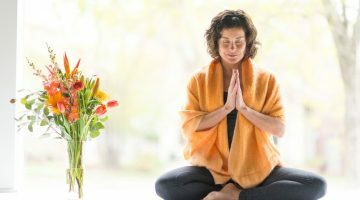 Amy is the co-author of the book, The Art and Business of Teaching Yoga.